What are AMP Hearing Aid Amplifiers? 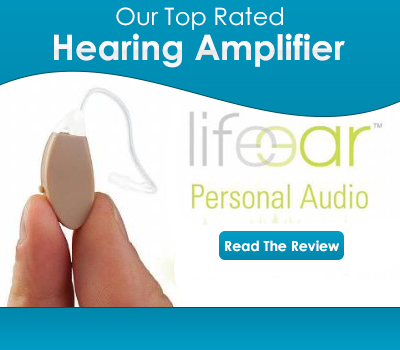 You are here: Home / Buyer Guides / What are AMP Hearing Aid Amplifiers? Labelled as a “good start for those not ready for hearing aids”, hearing amplifiers, or simply an amp, is specifically designed for people who are new to needing hearing aids, but also for those who don’t have a hearing impairment at all, but simply want to amplify the sounds in their environment in particular situations (for example, in a church, in meetings, and so on). They are designed to be easy to use and easy to remove, catering to good hygiene practices. They are also totally invisible in the ears of most people who wear them, which is one of their most appealing aspects. In short, nobody would be aware that you are wearing a hearing aid amplifier unless you tell them so! A personal audio amplifier with the name AMP is a product that has been leading the way in this category. It is for people who know that the time has come for them to obtain some sort of hearing assistance device, but they don’t quite feel ready to invest in or wear a hearing aid. AMP provides an alternative starting point option. The AMP hearing aid-like device is suited for people with various levels of hearing loss, and has been created with comfort and convenience in mind. What Is The Difference Between A Hearing Aid And A Hearing Aid Amplifier? Personal sound amplifiers, or hearing aid amplifiers, are different to traditional hearing aids. They are more basic devices that may even be used by people who don’t really have a hearing impairment. For example, when watching television at a low volume, in order not to disturb others in the house. But those with a mild hearing impairment may also look at a personal sound amplifier as a way of enhancing their hearing, without yet investing in a considerably more expensive hearing aid. It is important, however, to be aware of the difference between these two forms of hearing technologies. A personal hearing amplifier can cost as little as $10, however one needs to be aware of the potential pitfalls of using such a cheap, potentially ineffective product. In fact, the FDA has gone as far as issuing a statement on the intended uses of hearing aid amplifiers, and how they need to be considered differently to that of regular hearing aids. Your hearing should always be evaluated by a specialist hearing doctor before you decide whether a personal hearing amplifier, or a full hearing aid system is the right choice for you. What Are The Benefits Of The AMP Technology? No feedback is experienced when using an AMP personal hearing amplifier, due to the inbuilt feedback elimination technology. This means that buzzing, whistling and other similar irritating sounds that can so often be a problem with even the best hearing aids, is reduced significantly. Most people would consider the invisibility of the AMP device to be a huge benefit as well. 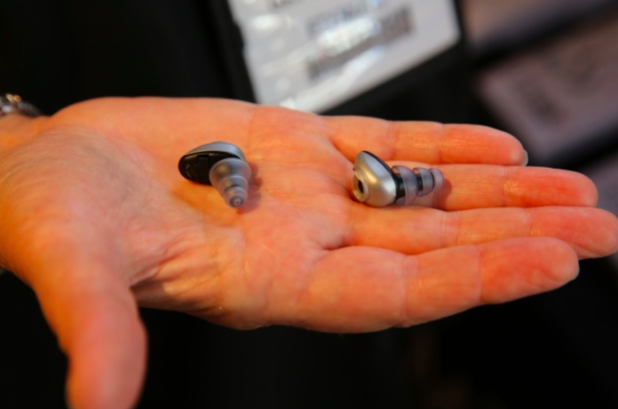 Whilst regular hearing aids are now also becoming available in smaller and smaller sizes, these are usually extremely expensive. Wearing obtrusive and large external hearing aids, which may cost less, is not to everyone’s liking. Therefore a personal hearing aid amplifier like AMP provides that comfortable middle ground for many people with a mild hearing impairment. Where Would An AMP Be Of Greatest Use? Challenging environments for people with a mild hearing impairment include those that involve crowded spaces with many people talking at once, open outdoor areas where the sound can travel with the wind and situations where there is a lot of distracting ambient or background noise. Likewise, people who have good hearing may also sometimes have difficulty in making out specific sounds, such as voices, in particular situations or environments. Therefore, an AMP type device is made for those who may not even necessarily have a diagnosed hearing problem. In such situations, the AMP is able to be inserted and removed as the person sees fit, making it a very convenient, temporary solution for enhancing the hearing at specific times, whether that be everyday, or only very occasionally. Is The ANP Style Hearing Amplifier Right For You? If your hearing loss is not at the point where a more expensive, powerful hearing aid is needed, then a personal hearing amplifier could be the answer for you. Additionally, if you simply feel that a larger hearing aid that people may be able to see is not something you would be comfortable wearing regularly, the AMP or similar device provides the alternative, less obtrusive option. 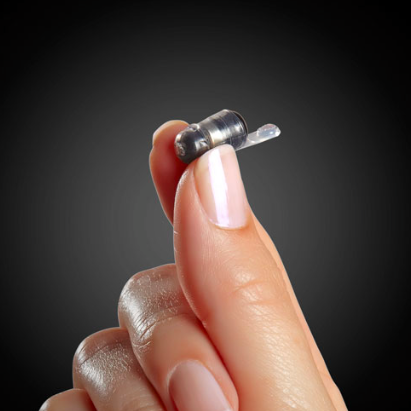 The ability to fit it invisible into the inner ear, easily and quickly remove, and have it all ready to be worn in just one visit to a professional, means that this is a no fuss hearing improvement solution that is appealing to many people. An article by Mark Ross, Ph.D., written on on the subject of “Personal Sound Amplification Products (PSAPs) Versus Hearing Aids”, states that personal amplifiers such as AMP can probably “improve the hearing performance of people with hearing loss” to a certain extent, even though he was initially skeptical as to the effectiveness of these devices; mostly due to the marketing claims by some manufacturers (this is where it pays to really be sure you are shopping with a reputable company). Dr Ross goes on to note that he discovered most consumer reviews and comments posted around the web concerning these devices were of a positive nature. This is always a good sign. Dr Ross notes that a persona hearing amplifier can “serve as an introduction to amplified sound for many people or as a temporary substitute when oneís personal hearing aids are not available”, and he has even personally recommended them to elderly people in nursing homes, low income patients, and other situations where only basic amplification is required. He is adamant however that the quality between devices can vary, so always consult your doctor’s expert advice before proceeding, particularly if you believe you may have an undiagnosed hearing impairment condition.